Most terry cloth is made with cotton because the absorbent fiber gets stronger when wet and it can be sanitized in very hot water using strong bleach and detergent without harm. Terry cloth is usually made with looped pile because the loops act like very small sponges. Looped pile is also better able to withstand the strain of rubbing, pulling twisting and tugging by the user. Loosely twisted loops are softer and more absorbent than tightly twisted loops, which produce a rougher fabric. Long pile is more absorbent than short pile. 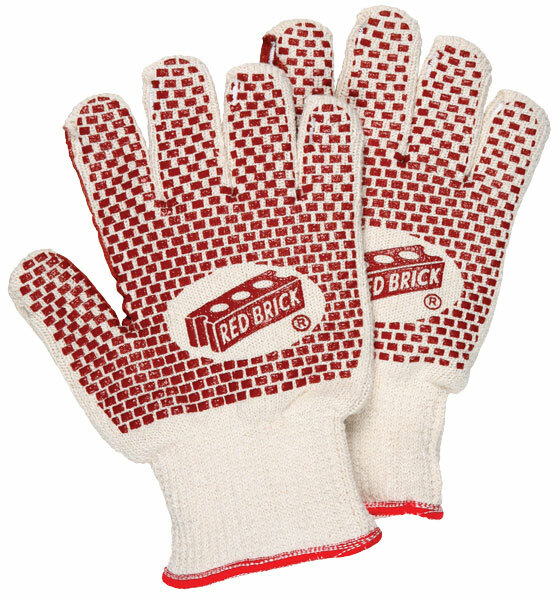 The Red Brick features 2-ply cotton loop-in terry cloth with nitrile blocks on both sides.